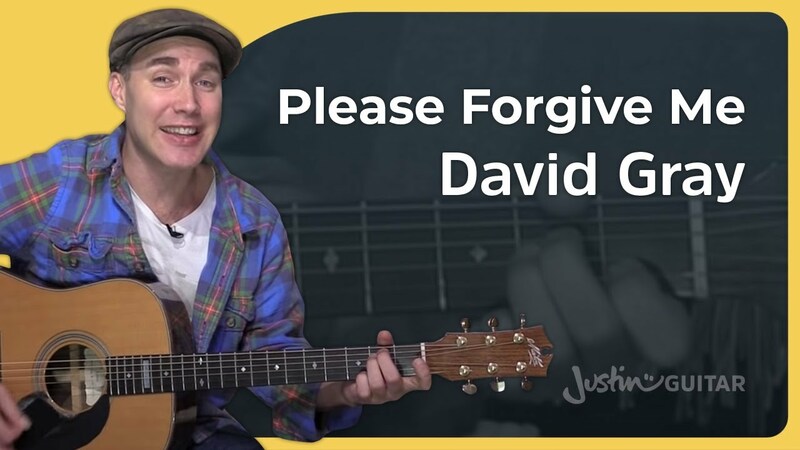 Please Forgive Me - David Gray - Easy Acoustic Beginner Guitar Lesson (BS-601) - Really Learn Guitar! The Justinguitar Beginner’s course is 100% totally free – over 100 lessons for beginners!! See the web site! The Justin Guitar Beginners Songbook contains 100 songs specifically structured for beginners and there are 10 songs for each stage of the Beginners Course. See the web site for the beginner lessons and more info including full song list, sample songs and order details. You can also order the book from your local music store!